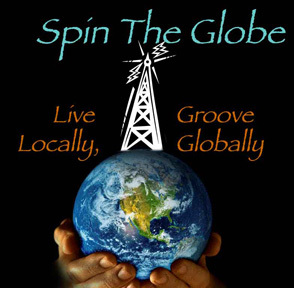 Some technical issues have resulted in a "you can't hear this" message on the Spin The Globe audio archive in the last day or two. I apologize for this, and the podcast should be available again shortly. In the meantime, I've posted the audio of the interview section of the show at divshare, and you can hear or download it -- Thanks for your patience and understanding, and happy happy holidays! 27 December Update: Seems we've cleared up the problem, and you can once again hear the full show at Podomatic. Thanks to their tech folks for the help during this holiday week!